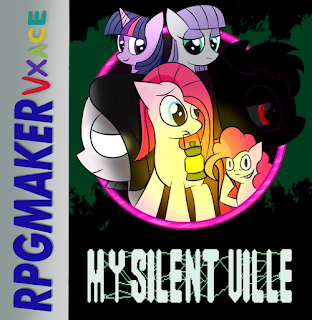 Whoa, someone actually finished a game based on Silent Ponyville! This is a short horror game and adaptation of SamRose's Silent Ponyville! You can download the game here! "Pinkie Pie has been plagued by ceaseless nightmares. Her friend Twilight has been doing her best to console her, but the horrific dreams persist. One night, Twilight claims she has found an answer to Pinkie’s problem; an old spell called the Mind Delve. Nobody knows the exact effects of the spell, but it has been proven to cure ponies of psychological trauma. Unable to bear living with the nightmares any longer, Pinkie consents to having the spell cast on her. With a flash of white, her surroundings vanish. When she comes to, she finds herself in a twisted version of her home filled with fog and monsters…"